At the entrance of the capital of Kefalonia, you can see a stone bridge of 650 meters long called the Drapano Bridge. There is a pyramid dedicated from Charles de Bosset, who built the bridge, to the British Empire. 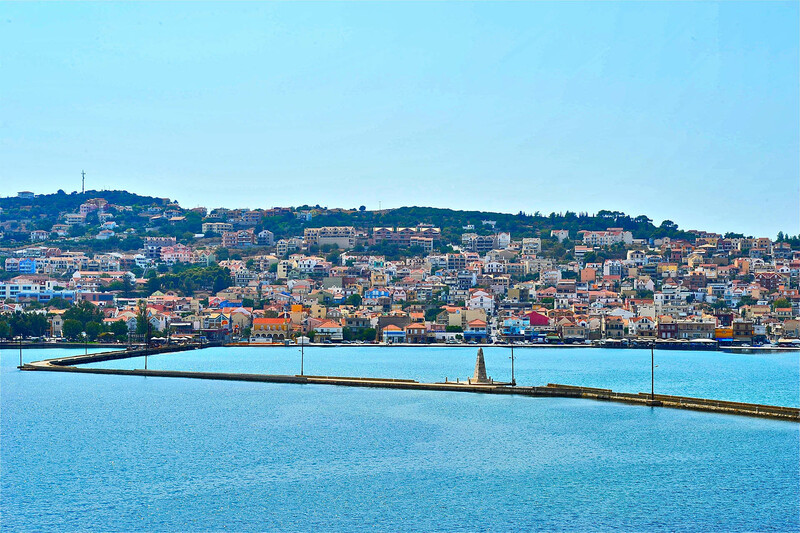 Argostoli is a modern and cosmopolitan town. You can walk the paved coastal road which is full of palm trees and colorful pebbles.Plateia Valianou (Vallianos Square) is a large and pleasant square lined by many restaurants, cafes and bars. The pedestrian Lithostroto Street (Cobbled Street) is the main street of the capital filled with all kinds of shops. A nice visit to the church of Saint Spyridon and the interesting clock tower of Campana Square is recommended. You can also visit the Botanical Garden, the Folklore museum, the library and the archaeological Museum of Kefalonia which houses interesting archaeological findings from the Mycenaean, Hellenistic and the Roman period. Nearby the library is the theatre of Kefalos, one of the best theaters of Greece. A few klm from the center of Argostoli, is a beautiful lighthouse with Doric columns locally known as Fanari.